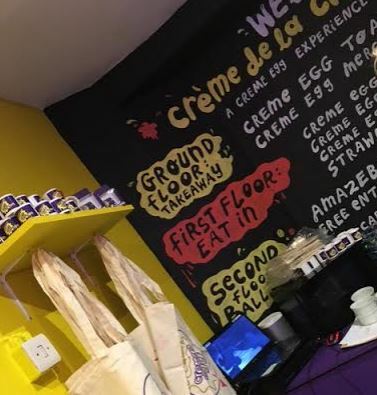 It’s not a sentence I thought I’d ever write but: I really enjoyed the Cadbury’s Crème Egg toastie I had at their Crème Egg pop-up shop in Soho. 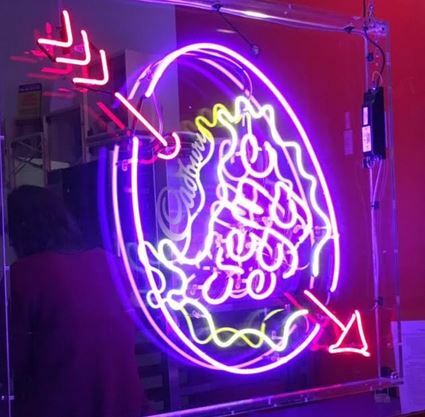 In a surprise move the pop-up shop has been so popular they opened one in Dublin (but for only a week – Londoners get until March 6 to enjoy the gooey treats). 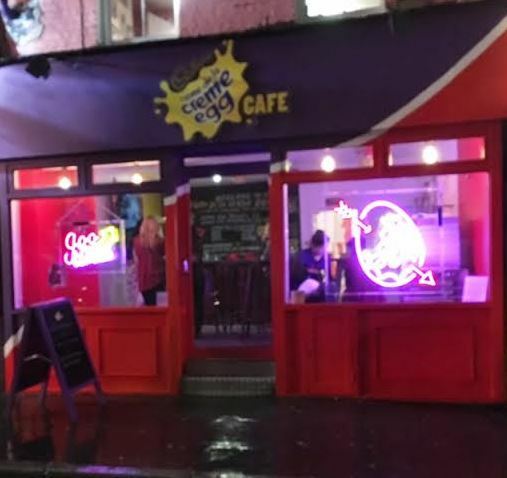 The café is a three story affair in a fairly busy area of Soho, close to the theatres and to Shaftsbury avenue, making it an easy walk from Piccadilly Circus station. It is not intended for children only, nor is it aimed at them specifically (thought the ball pit on the third floor makes me wonder), but rather it is an ageless space. Next to a pub in a small shop, the three story experience created by Cadbury in the run up to Easter is something to behold. From the neon sign to the frequent mouse traps having caught crème egg mice to the bird cage capturing a mug and eggs, this shop is an homage to the crème egg. 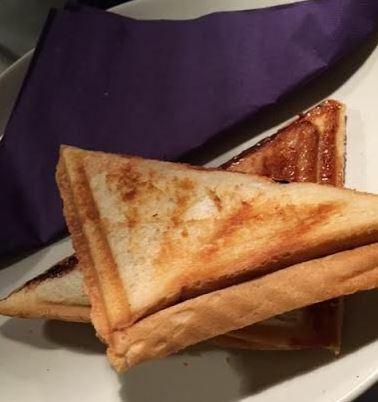 The menu is nice and simple as well – a crème egg toastie is probably the most adventurous thing on the menu, with crème egg rocky road and crème egg millionaire shortbread also on offer. Priced reasonably for the area for eat-in service (tea, coffee or water comes with the eat-in option for £4), there is a second floor eating area where you can relax and nibble before heading to the ball pit on the third floor. 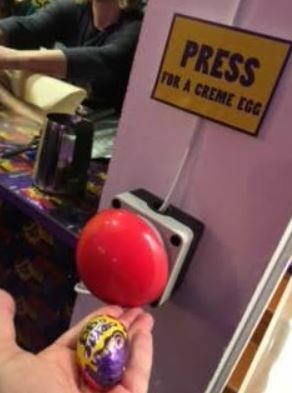 When I was there the most popular thing was probably the giant red button which you press to get your own crème egg. Rumour has it that it is the adults who abuse the privilege of a free crème egg and not the kids. Greedy adults! The crème egg café is only open until March 6th and is only open on Fridays, Saturdays and Sundays do you have to be quick if you’re going to get in there and enjoy a crème egg toastie!